Cape Breton Canso MP Rodger Cuzner announced federal support for the Aquaculture Association of Nova Scotia through ACOA’s Business Development Program. 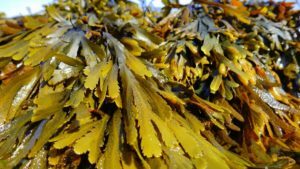 The Aquaculture Association of Nova Scotia is investigating the viability of setting up a seaweed aquaculture industry in Cape Breton. Over three years, the organization will conduct on-site trials at three Cape Breton sea farms, including Premium Seafoods in Arichat, and explore market opportunities for the products developed. To that end, the federal government pledged $248,816 to the Aquaculture Association. Cuzner made the announcement today in Petit de Grat.